Did you grow up in a home where picking your nose and eating your boogers was strictly forbidden? If you said yes, you are part of the majority. Most of us, as children, were closet booger eaters. From the time we could navigate our fingers, we are compelled to stick them in our mouth, ears, and nose. Contrary to this seemingly natural instinct, mother’s are constantly putting little fingers from these orifices. What about as an adult? Do you still struggle with the temptation to eat your boogers? Again, you are not alone. One study from the University of Wisconsin Medical School, USA found that 91% of their sampled participants were current nose pickers. Three-quarters of this adult group felt like everyone else did it as well. This statement is most likely not far from the truth. Another study from the National Institute of Mental Health and Neurosciences in Bangalore, India looked a what happens when nose picking becomes obsessive. This condition has been termed rhinotillexomania. It was discovered that of the 200 adolescents in the study, the majority picked their nose an average of four times a day. Have you ever wondered what boogers really are? Truth be told, they are merely dried mucus. Mucus is a slimy, sticky substance that is also present in your lungs, gastrointestinal tract, eyes, reproductive tract, and sinuses. Mucus forms a defensive barrier to bacteria, pollen, dust and other contaminants that try to make their way into the nasal passage. Muscus is indeed the superhero of your nose – if it weren’t there, all the invaders would make their way into your nose and down to your lungs where they would unleash nastiness in your body. With mucus on guard, these invaders are caught red-handed. Just as the Lone Ranger had Tonto, mucus has cilia, a needed partner. Cilia help to move trapped mucus out the nostrils. Sometimes it even goes to the back of your throat and is swallowed in little bits. If the mucus does not get out, it dries, collects more debris and transforms into our friend, the booger. It might just be healthy to swallow your snot — or at least eat your boogers. That’s right: a Canadian biochemist proposed the idea while teaching a group of bored students in one of his classes at the University of Saskatchewan. Dr. Scott Napper specializes in emerging diseases and vaccines and found that snot and boogers intrigue first-year students. The casual question also turned out to be an important one. As gross as it sounds, Dr. Napper may be onto something. 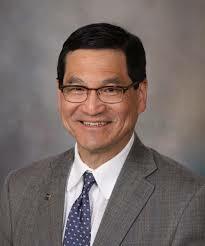 Mayo Clinic physician, Dr. James T. C. Li, M.D., Ph.D, noted that children who grow up in rural areas surrounded by a number of allergens from animals and plant life — as well as kids who grow up in larger families — tend to develop asthma less often than kids who grow up in a more sterile environment. Dr. Li refers to this in terms of the hygiene hypothesis. The hygiene hypothesis proposes that through exposure to microbes and illness early in life, the growing body learns the difference between substances that are harmful to the body and those that trigger asthma, a rather scary allergic reaction. Through exposure to a wide variety of allergens and infections, the immune system becomes stronger. Dr. Napper points out that eating boogers fits into several other hypotheses about immunity. 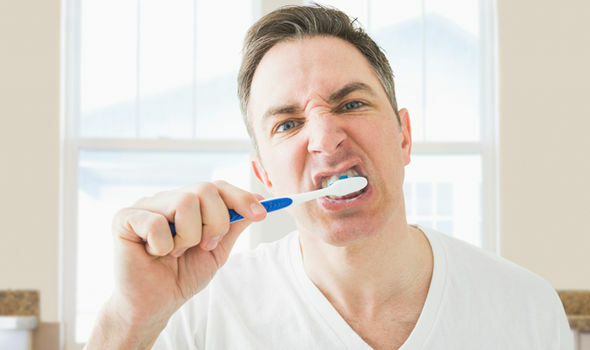 “From an evolutionary perspective, we evolved under filthy conditions, and maybe this desire to keep our environment and our behaviors sterile isn’t actually working to our advantage,” he said to CBC News. A study published in Nature found that the bacteria in mucus can be used to produce an antibiotic against staph infections. What’s remarkable about this discovery is that it’s the first time scientists have uncovered a bacteria that possesses antibiotic properties and is naturally occurring within the human body. Meaning, the mucus within your nose, that eventually turns into boogers possesses beneficial properties that we were never aware of until just a couple of years ago. In a world where antibiotic resistance is a valid concern, it’s important to recognize the real power of the human body. With cold and flu season just around the corner, it is refreshing to find out that boogers are an immune booster. Since each little sticky clump contains a range of bacteria, once ingested, they may act like medicine within the intestine — kind of like a natural vaccination. Small concentrations of bacteria are introduced, allowing the body to strengthen the immune system. As an added bonus, scientists at Harvard and MIT are now saying that boogers may be useful for our teeth too. Apparently, this great bounty of bacteria found in snot helps keep harmful bacteria from sticking to teeth. The findings in this research also suggest that snot could protect against respiratory infections, stomach ulcers, and even HIV. There is even a synthetic mucus toothpaste and chewing gum in the works. Can’t wait for that! So, this year as you prepare for cold and flu season think about a little booger munching and snot sucking along with plenty of vitamin C, fluids, fresh fruits, and veggies to build up your body’s defense system.